I-MAKE IT Solution is one of the leaders in Wordpress Development Company located in Pala,Kottayam. 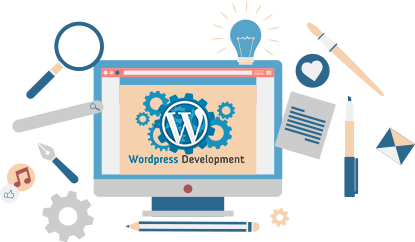 Having spent more than working hourse on Wordpress programming, we know in & out of Wordpress development process.Wordpress is, by far, the most popular CMS in the world, which powers a whopping 100 million sites worldwide. Wordpress is used as CMS of choice for government institutions, Fortune 500 companies, military, banks, insurance companies and, of course, small businesses and bloggers. The structure of your website plays a significant role in how well you rank in the natural search engine results. Our on-page SEO reports look to optimise the coding and structure of your website for the search engines that rank it. We have a strong team, with dedicated to Wordpress development. We have developed Wordpress sites for almost all verticals. The sites we develop are fast loading, SEO friendly and Mobile Friendly. We provide strong after sales support - once we develop a website, we can maintain it at very low cost, and save you all the trouble about website maintenance. We follow the best practices in Wordpress coding, and never hack the core files as some other companies do. This ensures that you can easily upgrade Wordpress and enhances security of your website.